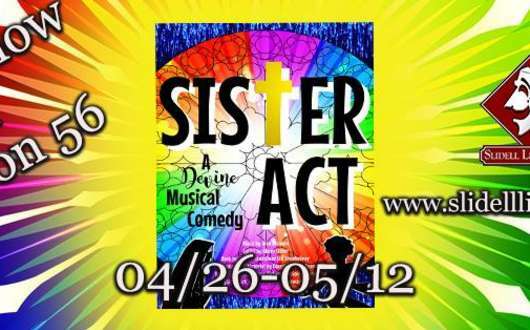 Slidell Little Theatre closes its 2018-2019 season with Sister Act, a musical based on the hit 1992 film of the same name with music by Alan Menken, lyrics by Glenn Slater, book by Bill and Cheri Steinkellner, and additional book material by Douglas Carter Beane. When a disco diva witnesses a murder, she is put in protective custody in the one place the cops are sure she won’t be found…a convent! Disguised as a nun, she finds herself at odds with the rigid lifestyle and the uptight Mother Superior. Soon, the criminals find out where she is hiding, and this disco diva fights them off along with the power of her newly found sisterhood. Filled with powerful gospel music, outrageous dancing, and a moving story, “Sister Act” will leave you breathless. Performances are weekends from April 26 through May 12, 2019. Admission is $28 for adults, $17.50 for students/children. 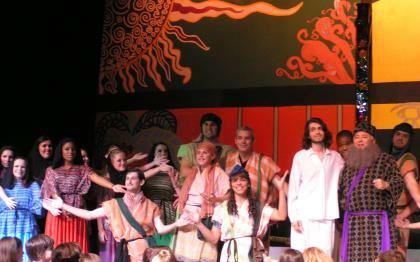 For reservations, call (985) 641-0324 and leave a message or buy online at www.slidelllittletheatre.org.